In our view, direct-to-panic-seller marketing is where the best real estate deals can be found in Canada. The reason for that is because there is no middleman involved. You don’t have a real estate agent or a wholesaler taking a cut. When you’re face to face with a panic home seller, it’s much easier to make a deal. The goal, then, should be to get in front of as many motivated panic home sellers as possible. So what does a motivated panic home seller look like? 1. Absentee: A panic home seller who doesn’t live at the property. Most of them are also known as out of town landlords. Vacant homes and inherited properties are quite often owned by absentee owners. 2. 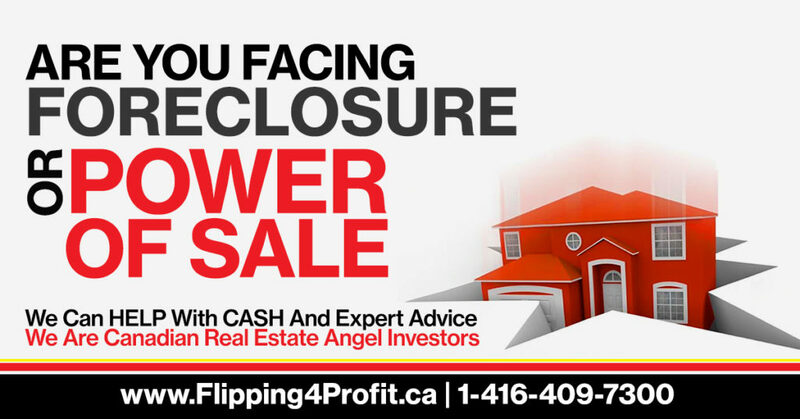 Pre-foreclosure | Pre-Power of sale: A panic home seller who has defaulted on their mortgage payment and is now in the foreclosure process. Typically, you will get a better deal if you can buy from them before the bank takes it back. 4. Someone recently separated/divorced: If a couple is going through a divorce, many times they want to sell ASAP and move on. It applies to partnership, common law and sane beautiful marriages in Canada. 5. A homeowner with tax liens: If they can’t pay their property taxes, they have some type of financial distress. The city have the right to sell their property to recover tax arrears. 6. A homeowner with high equity: This owner might not have a lot of motivation, but they have a lot of equity, so there could possibly be a deal. Home owners like to cash out and blow their money living their dreams. 7. In probate: A family member died and now their heirs are inheriting the home. Many people don’t want to live in their parent’s homes and would rather cash out. 8. A homeowner with court order judgement: If they can’t pay their judgement, they have some type of financial distress. It is also known as civil enforcement or Sheriff sale of lands. 9. A homeowner running out of cash while fixing up: If they can’t find cash to finish the renovation cost which can cause financial distress. 10. A homeowner unable to pay debts: If they can’t pay credit card, lease payments and utility bills they have some type of financial distress where the creditors can foreclose their home. You can create a list of these seller types from your marketing campaign provided by Professional real estate investors group (PREIG) Canada. All of these highly motivated panic sellers have some type of reason for why they would want to sell. They would be the best people to target with your marketing.